This recipe has several popular names: Civil the nickname of herrings in Spanish, De Cuba "from the barrel" as the fish are packed into wooden barrels. This is a product unknown to younger generations today. Remove the heads from the herrings. Clean each thoroughly and wash in cold water. Wrap them individually in brown paper. Put each herring in the gap between door and the jamb. Gently but firmly close the door squeezing the herring. Repeat until all the herrings have been squeezed. (This makes it easier to remove the skin when ready to eat.) Remove the paper. Scrap off the scales from the fish. Pour a little olive oil over them and sprinkle with chives, tarragon and garlic. Serve with wine and bread. It makes for tasty d'oeuvres or a brilliant first course. arenques et besugos vinieron de Bermeo." Hoy en día, los arenques vienen de IKEA.... La forma más habitual de consumir arenque en España son las "sardinas-arenques", en salazón, que venden en toneles de madera.^Pero hoy en día se encuentran los arenques en salmuera, típicos del Báltico: lsill en los países nórdicos, siliotka en Rusia. Thank you so much. As always your comments are so helpful in elaborating on what particular food items are like in Spain. Mrsamper is citing "El Libro del Buen Amor," the Book of Good Love, that consists of 12 metaphorical poems picturing carnal appetite in the allegorical conflict between Sir Flesh and Lady Lent. They battle with alternating patterns of pursuit and capture with their armies meat and game against fish and vegetables. So all, for souls salvation, joined the Fasting Lady’s band. The Sea-breams from Bermeo with some herrings in their suite. "Salazón" or salting consists of placing a thick layer of granulated or refined dry sea salt over the surface of the meat taking care that all is thickly covered. The amount of salt is in proportion to the weight of the meat. It is left for anywhere from 8 hours to weeks depending on the size, weight and the type of meat being salted. "Salazóns" can be plain salt or mixtures of salt with sugar, garlic salt, and aromatic herbs such s thyme and marjoram. Receptacles for salt herring and other meats are generally wood. They are not metal because the pH factor decreases to such a point that it could react the metal and subsequently ruin the meat. "Salmuera" is a brine, a concentrated solution of salt (70.80% or 114 grams of salt per liter of water or until a potato or an egg floats. To this sugar, garlic salt and aromatic herbs can added. Yes, it is curious eneough that, with all the variety of fishes we have in Spain, you can find no more fresh herrings /arenques. Is it possible that the arenques cited by Hita were salted or smoked? This was the commonest way of consuming fish in inner Spain, and no wonder it was real penitence eating fish by Lent. Even so, some fishes were carried alive inside barrels filled with water. In Italy I learned a way to soften salted herrings: after you have patiently taken out the fillets, you must cover them for a while with milk: this takes a part of the salt off. But Italian herrings are more "smokey" and perhaps lest salty, while Spanish have also more scales. Please note: sill and siliotka is the name of the fish, not of the brine. I promise giving you the Russian recipe for siliotka, if you want! It would be wonder to have the Russian recipe! 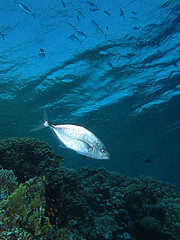 I would imagen that Hita ate salted or smoked herring although not stated in the poem. Villena mentions some 50 different fish and shellfish in the beginning of the 15th C. Iberia has be blessed with the Atlantic Ocean and the Mediterranean Sea thus providing it with one of the largest if not the largest variety of fish in Europe even though there are fewer varieties today than in the Middle Ages due to environmental problems. 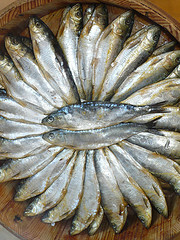 Herring is mentioned more often in English medieval history than in Spanish. It does seem to be more abundant in the Baltic Sea area and due to fewer varieites it was a stable in England during Lent. In fact, herring was one of the main riches of the Baltic countries, to the point their price served as an economic index. Here is my recipe for Russian herrings. It has potato, so it is not very medieval, but the other ingredients are. In Russia and other Baltic countries the combination of brined fish (herrings or others)and boiled egg is rather frequent. In Saint Petersburg they offered us as an appetizer to accompany vodka a slice of bread spread with butter and a tiny brined fish (the size of a small anchovy) topped by a slice of boiled egg. Just delicious! · Two big herrings in brine (NEVER salted or smoked). They are rather hard to find unless you have a Russian food store at hand; else you can try with canned herrings, of the simplest kind (avoid those with mustard, cream, tomato ecc.). · Boil separately the potatoes, carrots, beetroots (if you buy them raw) and 5 eggs in salted water. Boil the beetroots without peeling, as the skin prevents them from "bleeding" and loosing colour. Let everything cool. · Prepare a simple mayonnaise with one egg, the oil, lemon and salt. · Peel the herrings, separating the bones and pulling out the skin. Fillet them and cut these fillets lengthwise, carefully taking out every single bone. · Cover a dish or serving plate (about 26 cm.) with the onion very finely sliced (prepare the snorkel! ), and then the herrings and some mayonnaise. Continue with a layer of thinly cut potatoes, mayonnaise, the boiled eggs and the beetroots also thinly sliced and a final topping of mayonnaise. · Put for one hour in the fridge, well covered if you don't want the flavours to mix with other food; top again with some mayonnaise and decorate with finely chopped boiled egg. · Serve cutting slices as if it was a cake. · And don't forget a two hours walk or gym the next day! Thank you for posting the "door recipe". It will bring memories to the post-war generation to be sure. I repay with the Russian recipe. Please note that potato is a later ingredient, but in Russia and other Baltic countries the combination of brined fish (herrings or others)and boiled egg is rather frequent. In Saint Petersburg they offered us an appetizer to accompany vodka: a slice of bread spread with butter and a tiny brined fish (the size of a small anchovy) topped by a slice of boiled egg. Just delicious! · Two big herrings in brine (NEVER salted or smoked). They are rather hard to find unless you have a Russian food store at hand; else you can try with canned herrings of the simplest kind (avoid those with mustard, cream, tomato ecc.). · Boil separately the potatoes, carrots, beets (if you buy them raw) and 5 eggs in salted water. Boil the beets without peeling, as the skin prevents them from "bleeding" and loosing colour. Let everything cool. · Prepare a simple mayonnaise with one egg, oil, lemon and salt. · Cover a dish or serving plate (about 26 cm.) with the onion very finely sliced, and then the herrings and some mayonnaise. Continue with a layer of thinly cut potatoes, mayonnaise, the boiled eggs and the beets also thinly sliced and a final topping of mayonnaise (if you use carrots you should put them somewhere between). · Serve cutting in slices as if it was a cake.